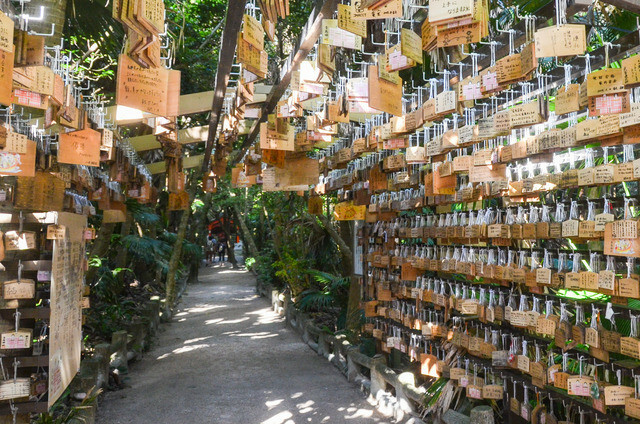 Tomorrow the new postcards are released into post offices across Japan, so to kick off that exciting event, here’s some information about Miyazaki’s newest postcard, featuring the amazing Aoshima Shrine. 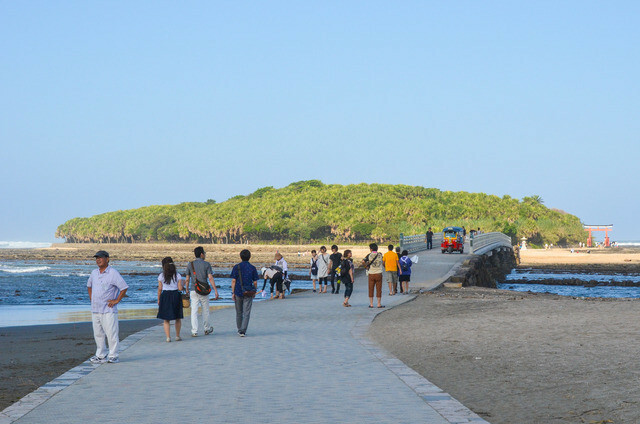 The shrine is located on the tiny sand- and tree-covered island of Aoshima, and is surrounded by a unique geological feature called the “Devil’s Washboard” which can be seen at low-tide. 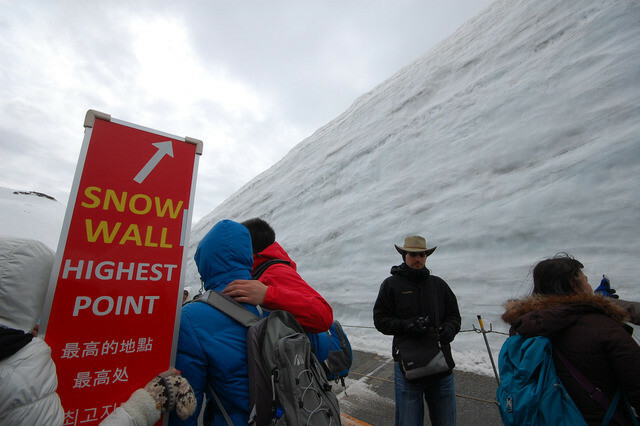 It’s definitely worth a trip! Heading out to the island, the bridge is relatively new. These days, anyone can visit at anytime, but 100 years ago or so, the island was considered sacred, so normal people could only visit 2 weeks out of the year! Around the back in the middle of a small grove of trees is the main shrine area. 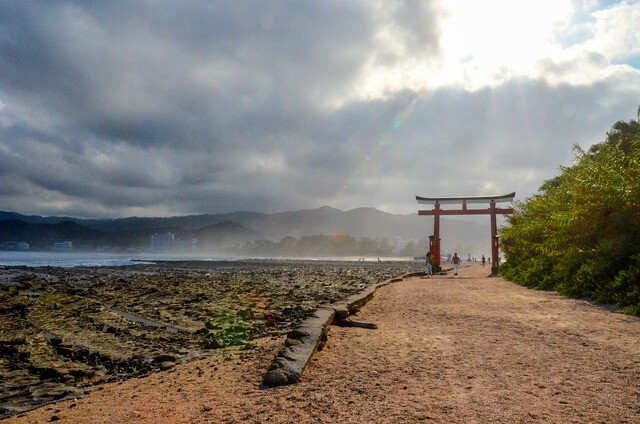 You reach the tiny shrine in the true middle of the island. It’s so peaceful! 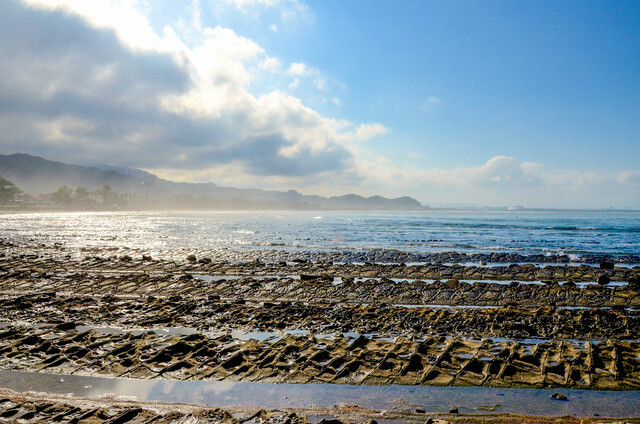 At low tide, you can see the interesting devil’s washboard rocks. They really look man-made up close, but they are a completely natural phenomenon! The postcard shot… well, close enough! 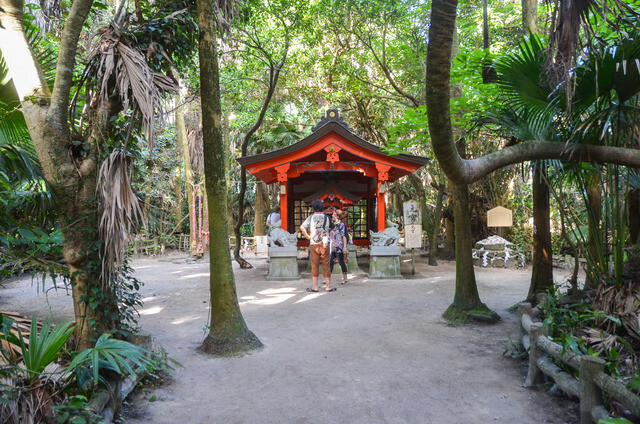 During the We Love Japan Tour 2015, my southern blogger partner Emma visited this shrine, so I recommend checking out her blog post to read all about it, and its connections to the very first Emperor of Japan, Jimmu. 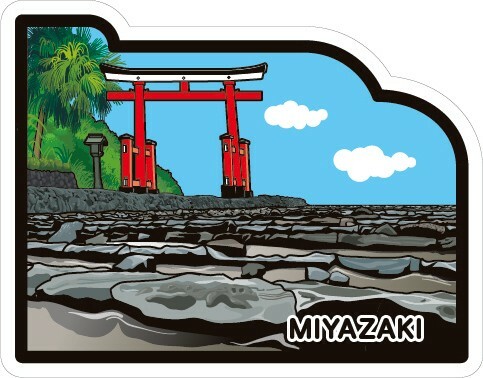 Don’t forget to pick up your new Miyazaki card tomorrow, and stay tuned for more posts about the new cards! Sometimes I go through my old pictures and realize I have postcard pictures I haven’t ever gotten around to posting. You’d think I would be on top of this stuff! 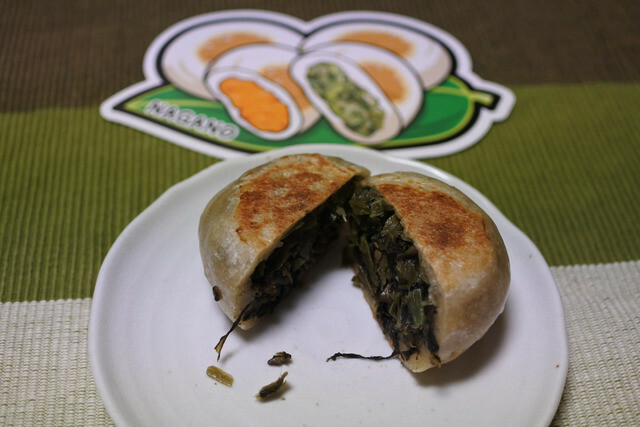 Here’s Nagano’s fifth postcard, representing oyaki, a popular regional dumpling made from a buckwheat (soba) dough and stuffed with various vegetable or other fillings, then fried. A friend went to Nagano and brought us back some different flavors of oyaki, so while I’ve never actually had oyaki IN Nagano, I got the chance to try it and took some pictures. 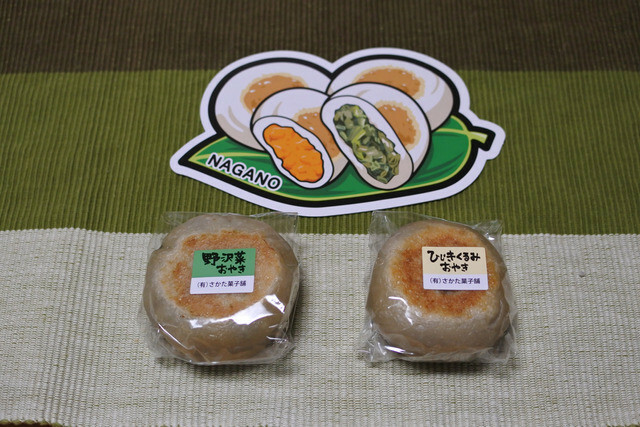 I’m sure they are even more tasty when you get them fresh with tea in Nagano, but they make a great snack regardless! 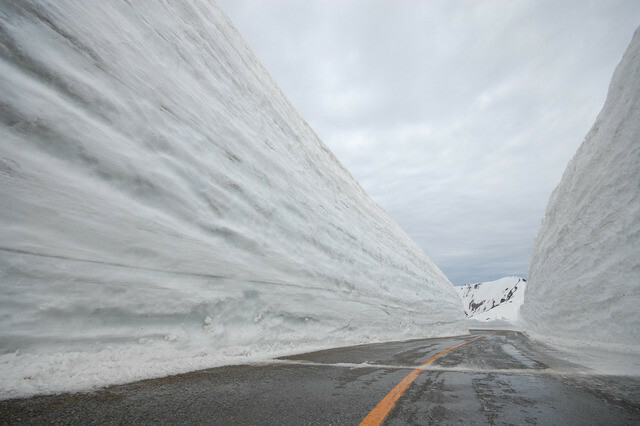 Two weeks ago, I traveled the Tateyama Kurobe Alpine Route to view the famous Snow Walls at Murodo. 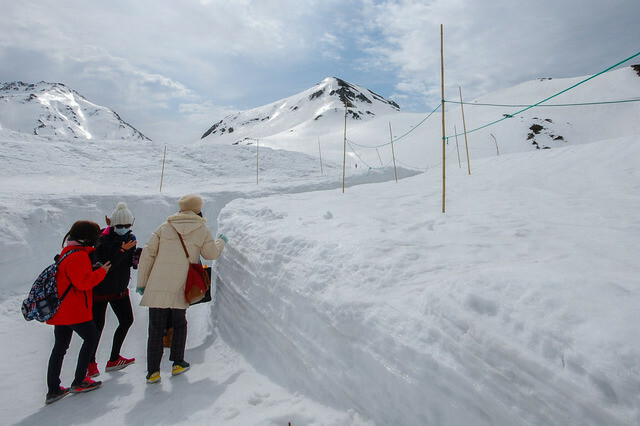 The Tateyama Kurobe Alpine Route is a series of many different modes of transportation taking you from Nagano’s Omachi area to Toyama through some of the spectacular mountains of the Japanese Alps. 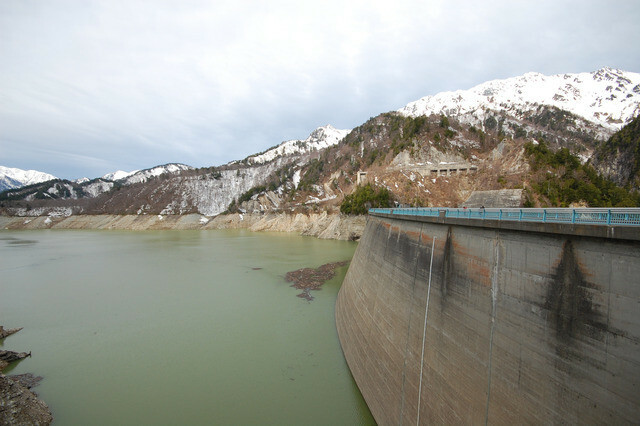 I began my journey waking up at 3:30AM and leaving my home at 4:00AM, driving to Nagano, and beginning the ascent up to Murodo on the first available departure. 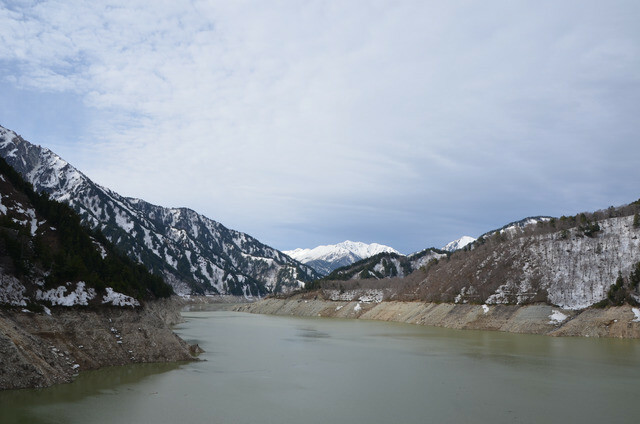 The Route starts with a trolley bus, then a cable car, a ropeway, and another trolley bus up to the highest point of the route. Heading down towards Nagano, you ride on a regular bus then a train, although I returned back the way I came to Nagano. You can read more about the route and my experience here. 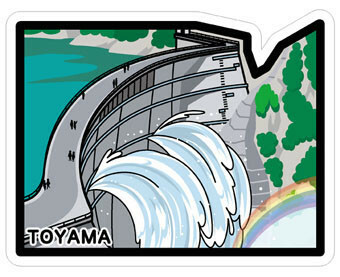 Being a total idiot, I forgot the folder which had the postcards for Toyama and Nagano ready to go. So there are no postcard pictures this time. In my defense, it was EXTREMELY early when I left, so I was just a little tired. Rather disappointing altogether, to be honest. 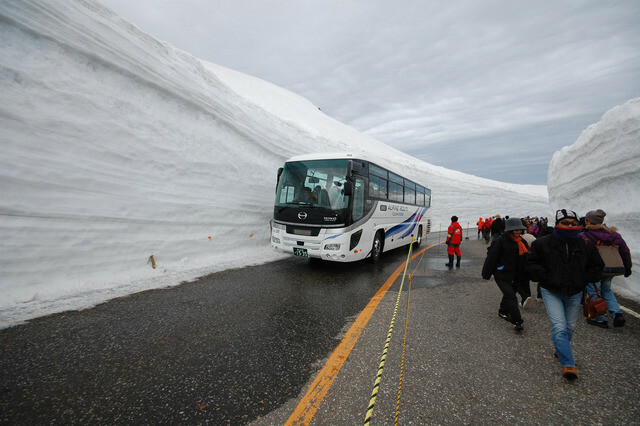 Maybe I’ll get a chance to go back in a year when there is not only more snow, but also nicer weather! 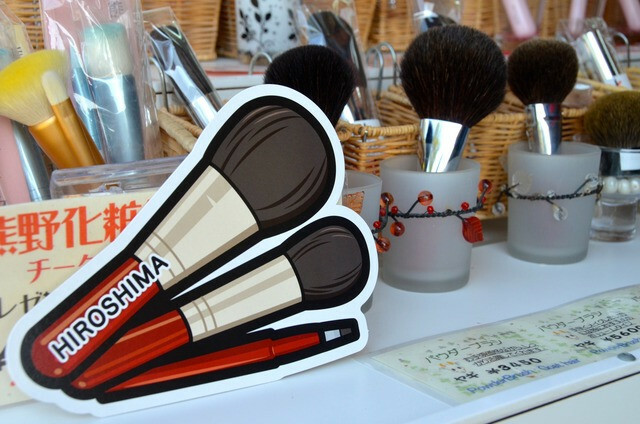 Hiroshima’s fifth postcard is of makeup brushes, called Kumano brushes or fude. 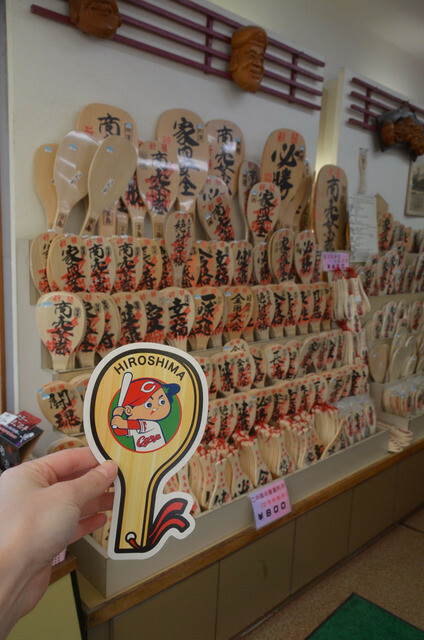 Originally, the area of Kumano was famous for producing the brushes used in calligraphy, but when the demand for calligraphy brushes declined, the industry expanded to include makeup brushes of the highest quality. 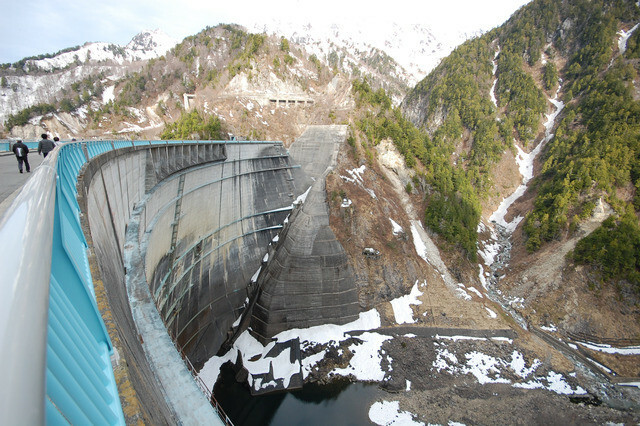 Kumano makes about 80% of the brushes in Japan, and most of the town is involved in the industry. If you’re in the city around late September, you can see the Brush Festival, where the used brushes are burned to thank them for their hard work. If you aren’t around then, though, don’t worry! 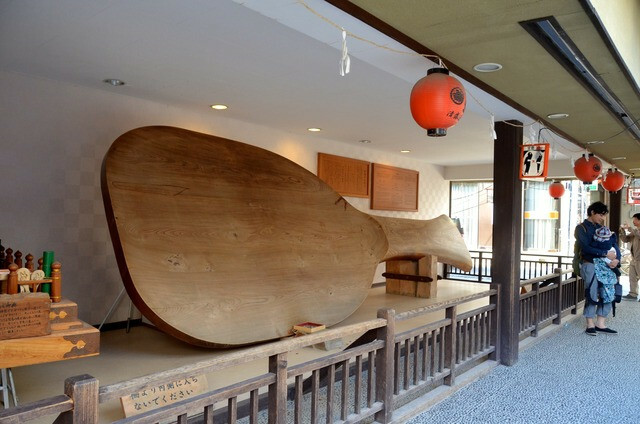 Head to the Fude-no-sato Kobo Brush Museum to see how each brush is hand made and catch a glimpse of the largest brush in the world. 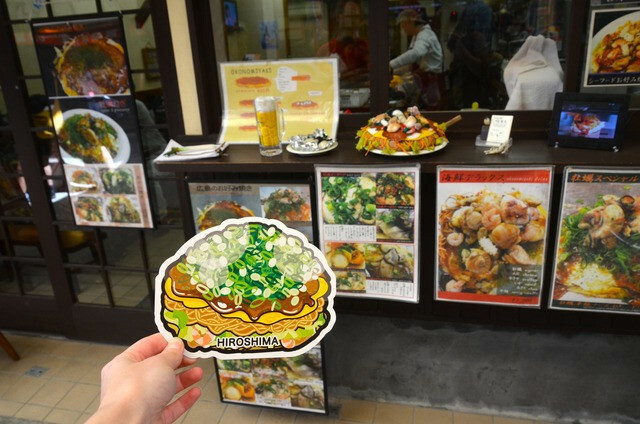 Okonomiyaki… how to describe this delicious dish? 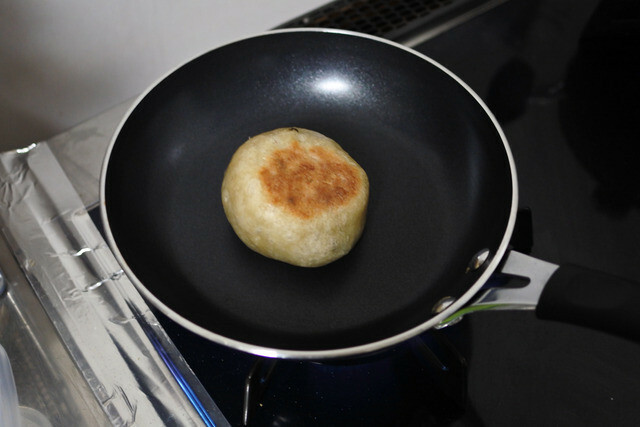 The word means basically “cook it how you like it” and refers to a sort of pancake type thing made with different ingredients depending on, well, what you like! 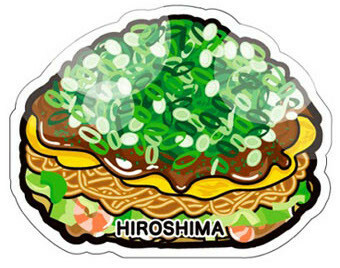 Okonomiyaki is famous in Hiroshima as well as the Kansai region, especially Osaka. Each area has a different style of making it. Instead of mixing it all together like in Osaka, Hiroshima style okonomiyaki is layered, and usually with noodles on the bottom then topped with lots of chives and a sweet sauce. Part of the fun of it is making it yourself on the table in front of you, and then trying to eat it with flat spoon type things before it burns. Talk about food with an effort! Getting Hiroshima style okonomiyaki in… Yamaguchi. Oops. Miyazaki’s second postcard features the prefectural government building in its unique style. It is built in the Neo-Gothic style which was based on castles and buildings in Europe. 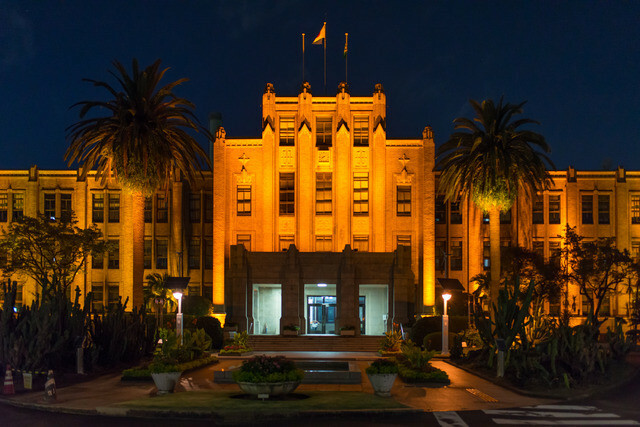 It was built in 1932 and is the fourth oldest government building in Japan still being used for its original purpose. When I was in Miyazaki due to time constraints the only chance I had to visit was at night, so the picture isn’t terribly clear. It is also Miyazaki’s retired postcard, and I didn’t think to actually bring the postcard with me on the trip, so there’s no card in the picture either. Sorry! Next time I’ll go in the daytime, and remember to bring the postcard with me! WOW, long time no post! Sorry for seemingly abandoning the site… after coming back from my trip to Europe, I was both extremely busy with work, and waiting impatiently for the 8th set of postcards to come out. Work is still busy, the new cards still aren’t out, and here I’ve gone half a month without posting anything. So I’ll be doing a post a day for awhile to show I’m not dead! 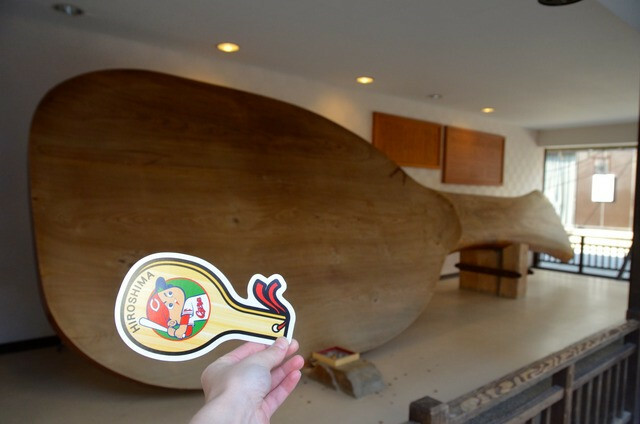 Here to begin is Hiroshima’s second postcard, combining rice scoops (shamoji) made in the area with the Hiroshima Toyo Carp Baseball Team’s mascot, Carp Boy. 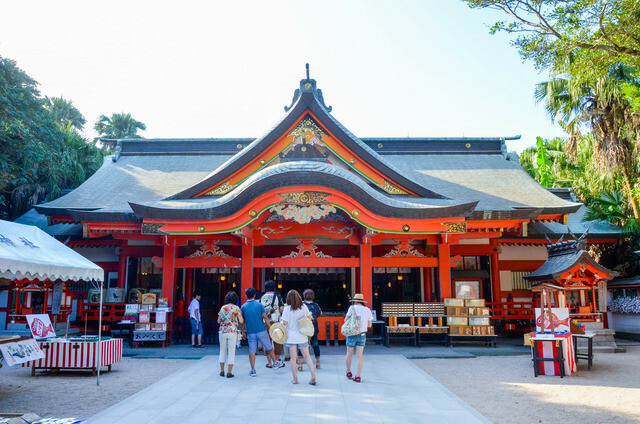 Shamoji are said to have been developed by a monk living on Itsukushima, better known as the famous Miyajima near Hiroshima City. Now, these rice scoops are a household item throughout Japan, often of plastic these days, but also sometimes the more traditional wood. I guess just the rice paddle was too plain of a card, so a picture of carp boy was added. 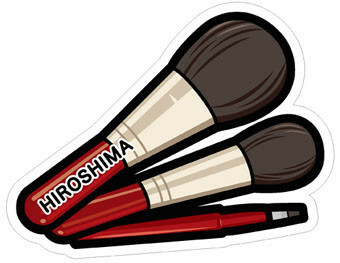 Hiroshima’s baseball team is… well, they’re not that good (sorry, Hiroshima). Mostly the reason is that they are actually the only team that’s not majority owned by a company, so the team is always short of money! Here we go… wow its big! You can take home one of these smaller ones. It’ll fit in your luggage better, for sure! 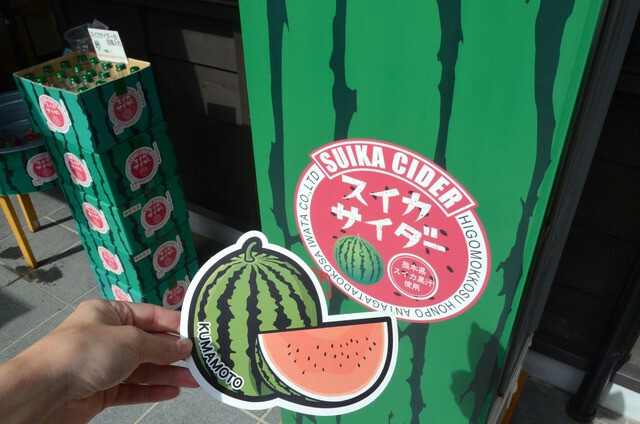 When I was in Kumamoto last summer I didn’t have the chance to look around for any watermelon to buy, but I did find watermelon soda for sale, and grabbed some to try. I’m not sure I’d buy it again, but it was almost as refreshing as an actual slice of watermelon. 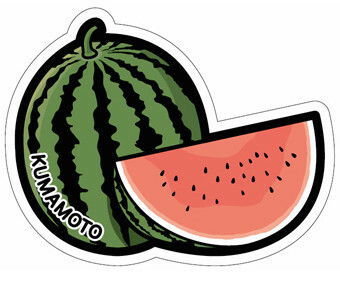 This summer I will have to see if my local supermarket gets in any Kumamoto watermelons to take a picture with. Meanwhile, I can’t wait to eat them again! Mentaiko is salted cod fish eggs marinated in chili sauce, and is a Fukuoka specialty. 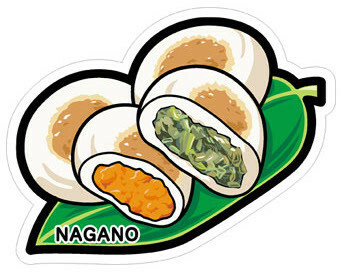 It originated in Korea, and is now popular all around Japan, especially in pasta or as filling for onigiri rice balls. I’ve had mentaiko in pasta before, and it is sometimes used as a topping for sushi rolls, but on the whole I’m not a big fan, so have never tried a big chunk at once like is popular in Fukuoka food stalls. My husband doesn’t really like it either, so I can’t count on him to eat it if I bought some for a picture, hence why I don’t have a picture for this blog. 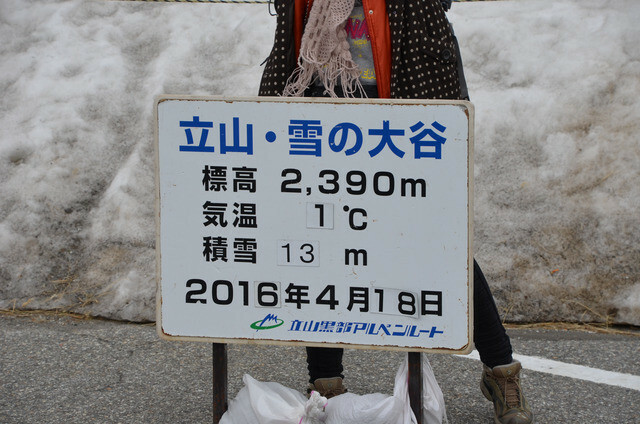 Maybe one of these years I’ll make it down to Fukuoka to take some pictures!